Today we held a meeting for this years Junior Ambassadors and their parents. All the parents, JA's, our Chaperone and Liasion Officer Rebecca, attended. 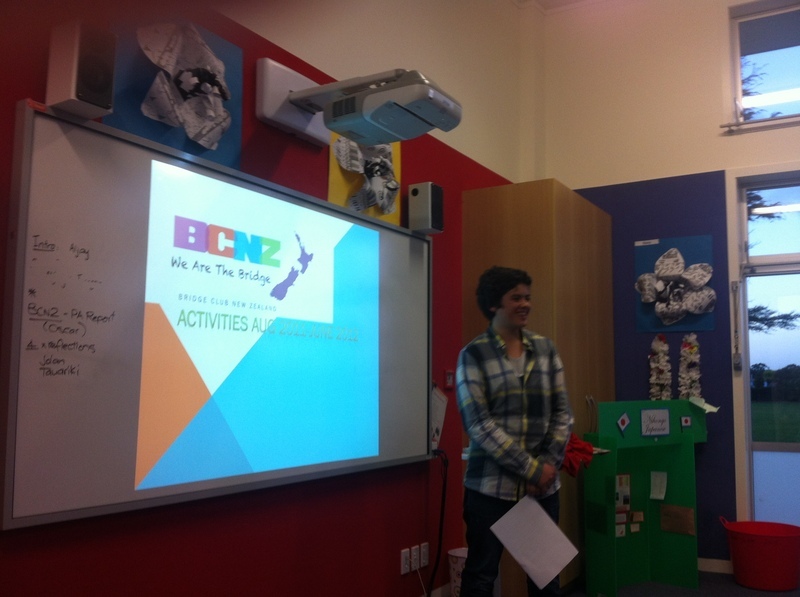 BCNZ presented to the group and explained the BC concept and our plan for the year. I think that the JA's were all really intersted and Lorraine our Chaperone is also very enthusiastic. The presentation included a short powerpoint by Oscar and a video by Korie Lum from BCH of what a sucessful BC can do, which i think really motivated the JA's and their parents. The JA's presented their powerpoints of what they have learnt whilst in Fukuoka City and having participated in the APCC really well and I know BCNZ is very proud of them. Thanks to Lorraine and Rebecca for being so helpful in setting up this meeting.